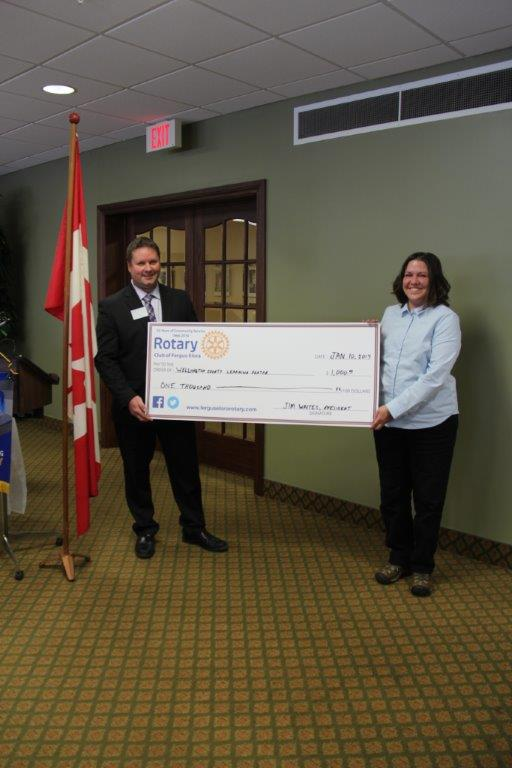 Jim Waites, Club President presented a $1,000 cheque to Elizabeth Deberge from Wellington County Learning Centre. The funds will be used to purchase English language learning books for a number of recent refugees to this area. The books will be used during the attendance of these refugees at English as a second language classes organized by the learning centre.